The Mickey Mouse Penthouse offers spectacular views of Disneyland through floor-to-ceiling windows. 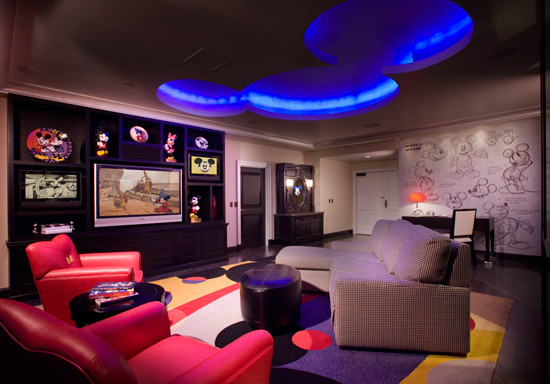 The penthouse, featuring an interior design with Mickey’s signature colors of black, white, red and yellow, occupies an expansive 1,600 square feet and includes an open living room, dining and kitchen area, two bedrooms and two and one-half bathrooms. With all rooms filled with luxury amenities seems like a great place to rest the inner child in you.